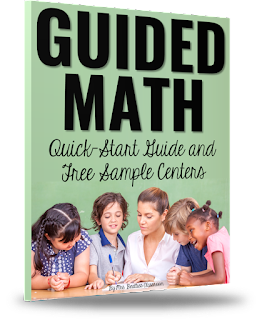 I've been using a Guided Math structure in my classroom for a few years now, and I've seen the benefits first-hand. 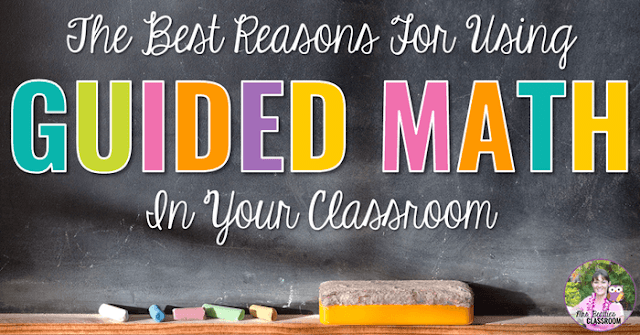 Here are my Top 5 reasons for using Guided Math in your classroom. 1. Supporting every child in a whole-group lesson is impossible. Teachers work hard to create lessons that will have an impact on as many students as possible, but let's face it... you cannot meet the needs of every child within a whole-group lesson. We all have them: struggling students working well below grade level, disengaged students daydreaming about other things, high-achievers requiring a more significant challenge than is appropriate for the majority of his or her peers. When using a Guided Math approach, students work directly with the teacher in small groups while the rest of the class is engaged in meaningful, related activities. Each group receives instruction at a level appropriate for the needs of the children within it. 2. More small-group time means you know your students well. When you can spend quality teaching time with just a handful of students at a time, you learn quickly what their strengths and needs are. Students are more likely to take risks, share ideas & opinions and try new things when they are in a small group because their comfort level increases, and you can quickly modify, redirect, support or praise as you closely observe students working! 3. Rotation activities make planning and preparation easier! When you only need to prepare a selection of centers for your students to rotate between throughout the week you are ultimately left with more time to concentrate on your groups and planning quality lessons for each ability level. Once my centers are ready (and I prepare and laminate them to last for years to come! ), I can devote my time to planning activities that are just perfect for each of my students. My students can't get enough of our Guided Math time! They love all of the centers I provide for them, and they are always excited for the time they get to spend with me in their small group. I know that my students feel safe, supported, and successful, and that is a win for me! 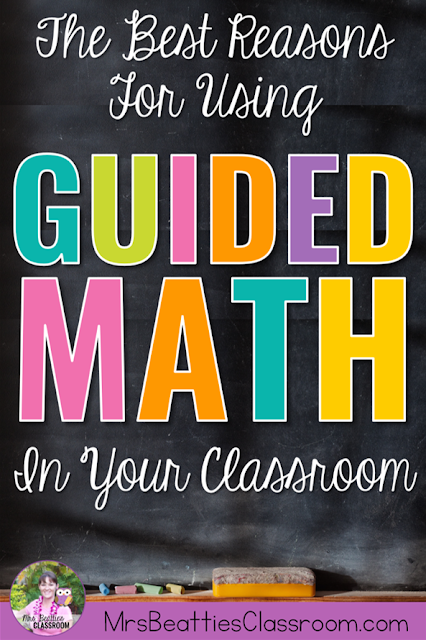 I wouldn't continue using Guided Math with my students if I didn't see the success that I do. The fact is, it works. Most of my students were achieving at or beyond grade level this past year and those who weren't quite there were at least approaching where I'd like them to be. 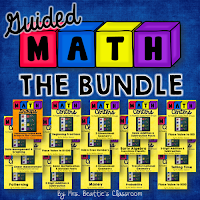 I love the flexibility I have with Guided Math - if I see a student or group struggling I can meet with them for additional support while knowing the others are continuing to practice essential skills. 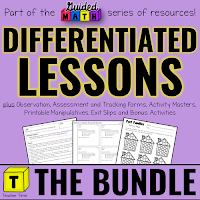 Be sure to share or pin this post if you've found the content helpful! Question...is it possible to introduce a lesson just to a small group at a time instead of whole group, part, whole group? Absolutely! 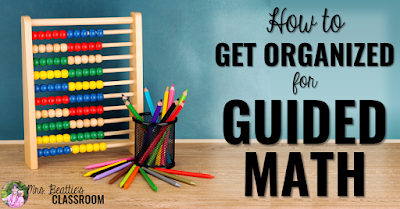 If you follow the link at the bottom of the post to How to Get Organized For Guided Math, or sign up for the starter kit, you'll get much more information about how guided math works and how to teach in small groups!